On February 26, 1946, Marine Air Reserve Training Command (MARTC) activated at Naval Air Station Glenview, Illinois and three Marine Aviation Detachments (MADS). Within a year, 21 more MADS formed consisting of 24 Marine Fighter Squadrons (VMF), and eight Ground Control Intercept Squadrons (GCIS). One of these squadrons, VMF-451, was established at NAS Willow Grove in April 1946. On February 1, 1947, GCIS-17 organized at Willow Grove under the MAD. In August 1950, Reserve Marines from GCIS-17 mobilized for the Korean War and remained on active duty until reorganization of the squadron in October 1951. VMF-451 was activated as a unit on January 3, 1951 for Korean service. On June 24, 1950, GCIS-26 formed in New York City. On August 3, 1950 the unit mobilized until June 30, 1952, when members returned from active duty. In 1952, upon reorganization of the Marine Corps Reserve, 17 of the 21 MADS remained, all staffed by active duty Marines. On March 1, 1954 GCIS-26, Brooklyn, New York was re-designated a Marine Air Control Squadron (MACS) to reflect the Marine Corps-wide re-designation of many such units. On April 15, 1958, Helicopter Transport Squadron-772 was established. In October 1951, MACS-17 began reorganization at NAS Willow Grove after reservists were released from active duty. 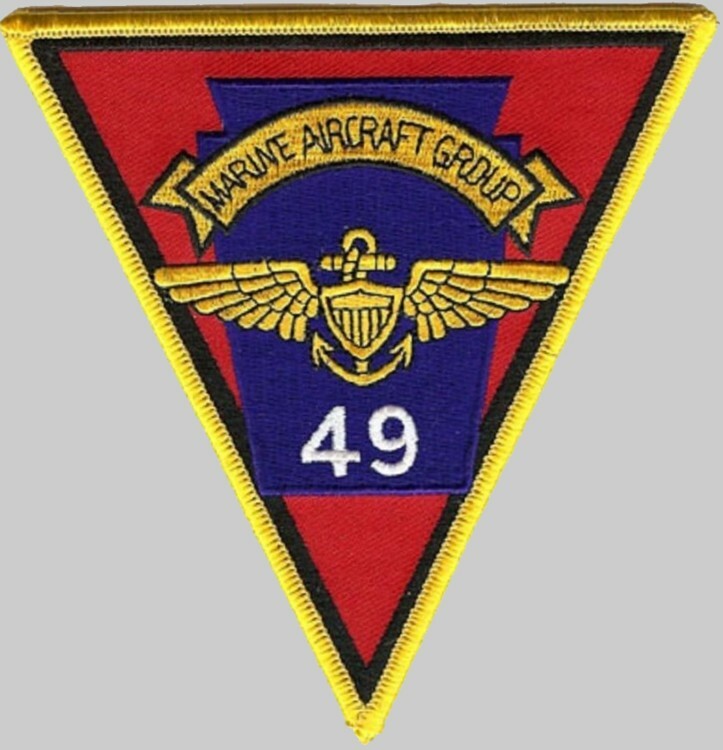 In 1959, Marine Air Reserve Group 25 (MARG-25) was the senior Marine Reserve command at NAS Willow Grove, with VMF-511 attached. 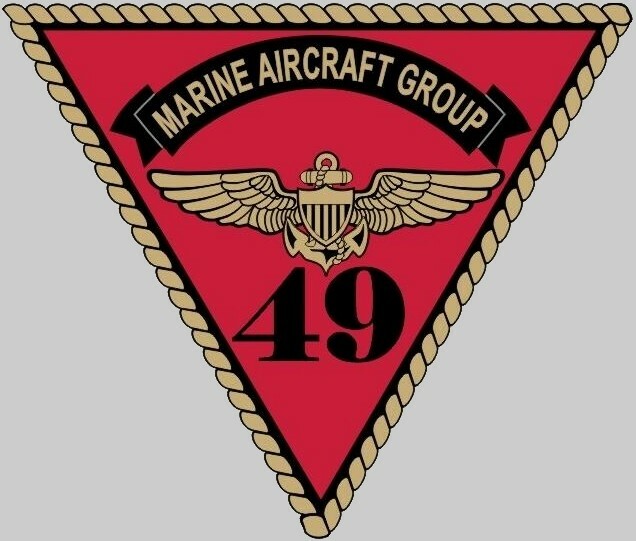 The 4th MAW experienced great change in 1962 when Marine Aircraft Group 43 was reactivated on July 1 along with Headquarters and Maintenance Squadron-43 (H&MS-43). Helicopter Transport Squadron-772 was re-designated Marine Medium Helicopter Squadron-772 (HMM-772) on April 1, 1962. On February 1, 1963, MACS-26 was re-designatedMarine Air Traffic Control Unit 73 (MATCU-73), and on March 1, Marine Air Base Squadron-43 (MABS-43) was reactivated at NAS Willow Grove. A major 4th MAW reorganization on February 1, 1965 saw H&MS-43, MABS-43, VMF-511, and MACS-17 all reassigned to MAG-43. MATCU-73 was assigned to the 4th MAW and remained in New York until November 1, 1965 when it was reassigned to MAG-43 and transferred to NAS Willow Grove on May 1, 1967. In 1971, HMM-772 transitioned to the CH-53 Sea Stallion helicopter, was re-designated HMH-772 and transferred to MAG-49 at NAS Willow Grove. In September 1972, MAG-43 was re-designated MAG-49, and MAG-49 Headquarters moved from NAS Lakehurst, New Jersey to NAS Willow Grove. In August 1991, MACS-48 Det B mobilized to conduct Air Traffic Control Operations at MCAS Yuma, MCAS El Toro and MCAS Camp Pendleton, at the onset of Operation Desert Shield and Operation Desert Storm. Members of MWSS-473, Det A were mobilized to MCAS New River, to support station operations while active duty personnel were deployed to Southwest Asia. Individual members of MAG-49, reserve and active duty, mobilized to serve with various units in the Saudi Arabian desert. HMH-772 mobilized shortly after the start of Operation Desert Storm in support of the Marine Corps' Unit Deployment Program (UDP). Initially sent to the 2nd Marine Aircraft Wing to augment with its sister squadron from NAS Dallas, HMH-772 was reassigned to the 3rd Marine Aircraft Wing at MCAS El Toro, CA to prepare for overseas deployment to the 1st Marine Aircraft Wing at MCAS Futenma, Okinawa, Japan. While deployed, HMH-772 participated in training deployments and helped evacuation efforts in the Republic of the Philippines (RP) following the eruption of Mount Pinatubo. On October 18, 1997, Marine Light Attack Helicopter Squadron-773, Detachment A (HMLA-773, Det A) activated at MAG-49, NAS Willow Grove with 21 Marines and 9 aircraft. In 1998, HMH-772 transitioned from the Sikorsky CH53D Sea Stallion to the CH-53E Super Stallion helicopter. In 2000, the Detachment changed from HMLA-773, Detachment A to HMLA-775, Detachment A, in accordance with a 4th MAW unit realignment strategy. During March 2000, HMLA-775 Detachment A moved from Willow Grove to Cambria Airport, Johnstown, Pennsylvania. In 2008 HMLA-775 Detachment A became HMLA-773 Detachment B. In 2001, Marine Air Control Squadron 24 (MACS-24), Detachment B, NAS Willow Grove, was deactivated. In 2011, MAG-49 moved from NAS Willow Grove to Joint Base Macguire/Dix/Lakehurst. On June 16, 2016, Detachment Alpha at Robins Air Force Base was deactivated.